Ryanair cabin crew unions from five countries have announced joint Europe-wide strike action to take place next week Friday, 28 September, to be staged by workers from Portugal, Belgium, Holland, Italy and Spain. 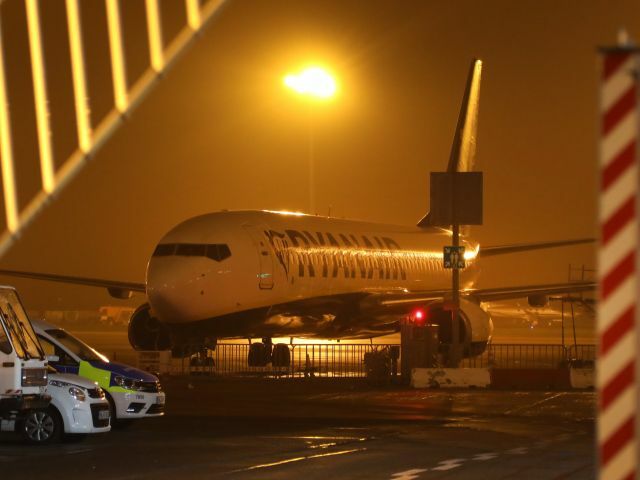 The impending strike is expected to affect flights across Europe, although the airline vehemently refuted suggestions made following its announcement, that the action would “cause chaos”. The date was announced last Thursday in Brussels and follows similar pan-European action, a two-day strike, held at the end of July. Cabin crew are demanding Europe’s largest low-cost airline applies the national legislation of their countries of origin to their contracts, in particular in terms of parental leave and minimum wage guarantee. In addition, they want Ryanair to withdraw disciplinary proceedings due to medical casualties or sales on board aircraft below the company’s targets. The unions have threatened monthly strikes should their calls go unanswered. Last week the airline was dogged by a pilots’ strike and cabin crew action in Germany, which resulted in the cancellation of 150 flights to and from that country. Before this latest bout of action was confirmed, faced with the possibility of another impending strike, Ryanair had said a fresh European cabin crew strike would “also be of little impact”. “If there is a further unsuccessful cabin crew strike on the 28th September, as we demonstrated in Germany [last week], Ryanair will pre-advise customers of a small number of flight cancellations, and the overwhelming majority of Ryanair’s flights and services that day will operate as normal, and we will carry the overwhelming majority of the 400,000 passengers who will be scheduled to fly with us that day”, said Kenny Jacobs, head of the company’s marketing department. Responding to the announcement of more strike action next week, Ryanair said it “rejected false claims made by Belgian union CNE that strike action by its small minority of cabin crew on the 28th September” would cause “travel chaos”. As another example, the airline pointed to its experience during previous strikes, which included five days of strikes by less than 25 percent of its Irish pilots this summer, and on each of those days, the airline said, it completed “280 of its 300 flights to/from Ireland, because over 75 percent of its Irish pilots continued to work normally”. Ryanair said it expects that “even if there is another limited cabin crew strike on 28 September, the vast majority of its cabin crew across Europe will work as normal. Ryanair’s Kenny Jacobs said: “Repeated false claims made by these unions about ‘travel chaos’ have proven to be unfounded. While we regret the limited strike actions that have taken place this summer, in all cases we have judiciously pre-cancelled a small number of our 2,500 daily flights in order to minimise customer disruption and inconvenience. Last month’s 48-hour strike saw around half of Ryanair’s flights to and from the countries involved being cancelled, amid claims by the unions that the Irish airline was coercing workers by threatening them with being fired if they did not fly on their days off that fell on strike days. But there is still a chance next week’s strike could even be called off; unions have said the action could be avoided if, in its General Meeting, which was due to take place on Thursday this week, Ryanair’s shareholders agree to make changes to work contracts.